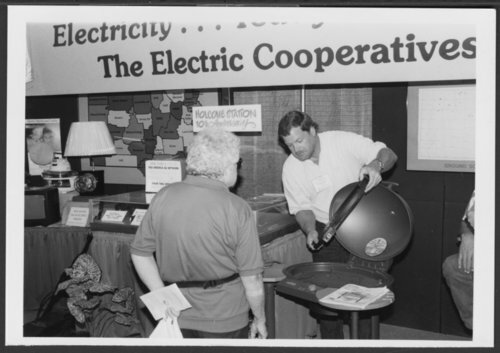 This is a photograph of the Kansas Electric Cooperative's booth at the Kansas State Fair. A representative from the Cooperative is showing a Thermos electric barbecue to an unidentified woman. Community Life - Clubs and organizations - Professional - Kansas Electric Cooperatives, Inc.